Taiwanese government is opening medical tourism centres to attract health tourists. Aiming to attract the increasing numbers of global medical tourists, Taiwan has launched five “health liaison centres”, with four in airports. These centres will provide medical consultations, aiming to “enhance Taiwan’s medical care image”, according to the Ministry of Health and Welfare. Taiwan boasts good quality, low-cost medical services, and with visitor numbers rising now is a good time to focus on the health tourism market. Visitors to Taiwan look set to top 8 million in 2013, prompting President Ma Ying-jeou to declare the coming year as Taiwan’s chance to develop its medical tourism industry. 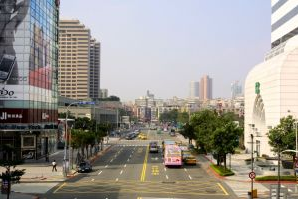 Taiwan has seen growing numbers of medical tourists, 170,000 in 2012 is predicted to increase to 200,000 by the end of 2013. The establishment of these health liaison centres is part of a free economic pilot zone project, which opens free trade districts at harbors and international airports to foreign investment (including those from China), Ma said. The Ministry of Health and Welfare has selected 45 qualified local medical facilities to provide services to meet the needs of foreign visitors. The five liaison centres will help visitors choose the most suitable medical institute for their requirements. The centres, found in Taipei International Airport, Taiwan Taoyuan International Airport, Taichung International Airport and Kaohsiung International Airport, will employ Mandarin and English-speaking staff, and will work in accordance with flight schedules to help visitors. In addition to these new centres, Taiwan has been promoting its medical tourism industry at worldwide fairs and shows. Local hospitals are optimistic about the government’s attempts to boost medical tourism in the country. “We’re cautiously optimistic and look forward to great results,” Alex Hung, president of Shin Kong Medical Club, told reporters on the sidelines of the liaison centres’ opening ceremony. Once Taiwan’s brand image is built, Hung said, “there will be more room for us to make more profits.” Prices for cosmetic surgery, for example, could be raised by 20% to 30%, he added. However, Hung added that the health liaison centers are not enough and he urged the government to run advertisements in in-flight magazines and promotional banners at local and foreign airports.